My practice specializes in internal medicine, chronic pain, women's health, and cancer support. In addition to acupuncture, I prescribe Chinese herbal medicine and make dietary and lifestyle recommendations based on Chinese Medical theory tailored to each patient's presenting patterns and constitutional tendencies. I am currently an in-network provider for CIGNA, United Healthcare, OneNet, Aetna, and all Blue Cross related plans.​ The acupuncture clinic and Chinese herbal pharmacy is conveniently located in Bethesda, Maryland next to BCC Senior High School. 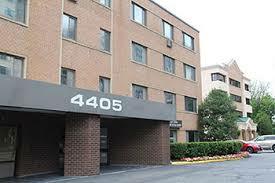 It is two blocks from the Bethesda metro (red line), and has free on-site parking. Molly B. Shapiro earned a master's degree in Traditional Oriental Medicine from the Pacific College of Oriental Medicine (PCOM) in San Diego, California. She also received training at the Chengdu University of Traditional Chinese Medicine in Chengdu, China, and completed two clinical rotations at the San Diego Cancer Center, an integrative medical facility. Molly is a certified Diplomat of Oriental Medicine by the National Certification Commission for Acupuncture and Oriental Medicine (NCCAOM), and holds a bachelors degree in psychology. She enjoys yoga, hiking, tennis, baseball, traveling, and inspiring those around her. Stay updated with the latest news! Read my blog HERE!